The following listing of area lakes are some of our favorites to fish. Top Minnesota Walleye fishing lakes, Northern fishing lakes, Muskie fishing lakes, Jumbo Perch lakes, Smallmouth Bass fishing lakes, Largemouth Bass fishing lakes, Crappie fishing lakes, and Panfish lakes. Lake Winnibigoshish -- also known as Lake Winnie and sometimes misspelled Lake Winibigosh or Winnibigosh, this is the fifth largest lake in Minnesota and covers 67,000 acres. Lake Winnibigoshish is well known as one of the finest walleye fishing lakes in Minnesota. 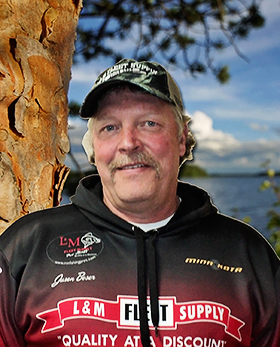 Big Winnie is a great producer of both walleye and northern pike. As a general rule, the best time to fish for walleye is from May thru the first week in July and then again from mid-August until freeze up. The best time for northern fishing is from July through October. The jumbo perch bite well here all year. The state record musky was caught on Lake Winnie and a number of large muskies prowl the depths of the lake. There are also crappie, bass, perch, sunfish and bluegill found in the lake. Big Winnie has a maximum depth of 65 feet and a median depth of 15 feet. The Mississippi River flows through its center. Nearly 95 percent of the 35-mile-shorelength is undeveloped. Cutfoot Sioux Lake -- Cut Foot is probably the most popular fishing spot in the entire region on opening weekend as well as at many other times. A classic spawning area for Big Winnie's walleyes, the heavy concentrations are fished relentless-ly boat to boat at times, especially around William's Narrows. One- to 1.5-pound males are usually the most active early in the year with some 8- to 10-pound females becoming more responsive after the post-spawn period. The Gap, Battleship Point and the island to the east of Battleship give up some good fish each autumn. As in most walleye lakes, plan on some northern pike line bite-offs. Slab crappies are also found throughout Cutfoot. Cutfoot is 2,851 acres in size, has a maximum depth of 78 feet and a median depth of 23.6 feet. It has a shorelength of 18.2 miles. 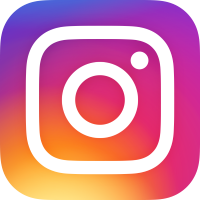 Bowstring Lake -- Bowstring Lake is located approximately 18 miles north of Deer River and contains 9,220 acres of Minnesota's top fishing waters for Walleye, Northern Pike, Crappie, Bass, Panfish and Jumbo Perch. It’s maximum depth of 30 feet and median depth of 15 feet allows Bowstring to warm up quickly in the spring and cool down quickly in early fall. Bowstring is a fairly easy lake to fish because it’s sandbars and rockpiles tend to hold the walleye and crappie. The north side of the lake is full of structured weed beds which are attractive to the lakes northern pike, perch and crappie. The Minnesota DNR lists Bowstring Lake as one of the state's top walleye fishing lakes. According to data from the DNR's latest lake survey, Bowstring is managed primarily for walleye and secondarily for black crappie, northern pike and jumbo perch. Sand Lake -- Sand Lake is known as a tremendous walleye lake due to an aggressive stocking program through the DNR and the Sand Lake Property Owners Association as well as its plentiful natural reproduction. It also boasts an abundant supply of crappie, jumbo perch, northern pike, largemouth and smallmouth bass and panfish. Sand Lake is a 4,328 acre naturally fed lake with a maximum depth of 70 feet, a median depth of 17 feet, and 19.9 miles of beautiful shoreline, all nestled in the Chippewa National Forest. It offers anglers many types of bottom structure variations, bays, islands, rock piles and has direct access to Bowstring Lake, Little Sand Lake, the Bowstring River, Rice Lake, Birds’ Eye Lake, Portage Lake, Dora Lake and the Bigfork River. Jessie Lake -- Jessie Lake is a 1,753 acre lake that boasts an abundant supply of walleye, northern, crappie, jumbo perch, and small and largemouth bass. The Lake is approximately four miles long and one mile wide with 9.2 miles of shoreline. Jessie has a maximum depth of 42 feet and an average depth of 22 feet. The Minnesota DNR manages Jessie Lake primarily as a walleye lake and is currently stocked with walleye fry every three years. The Jessie Lake Watershed Association is a very active group that is working with the DNR to restore walleye spawning habitat and maintain or improve water quality. Jessie’s structure consists primarily of sunken islands, reefs and bars. 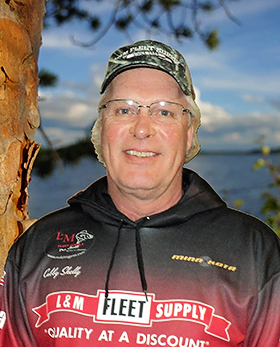 The inlet area on the north side of the lake will generally hold nice crappie early after ice out and as the water warms you will find them, along with walleye, on the sand flats and the deeper water drop offs. Round Lake -- Located just off Hwy. 46 near Squaw Lake, Round Lake is a 2,828 acre lake with a maximum depth of 24 feet and a median depth of 12 feet. This lake is best known for its phenomenal jumbo perch. Perch are often taken in the 3/4 to 1-pound range with even larger ones not uncommon. Round Lake also has plentiful walleyes, though they're a bit tough to fish at times. There are a few crappies in the lake and quite a few northerns prowling the water. The mid-lake structure is the best place to hunt for walleye and northerns. Big Island Lake -- Located just off Hwy. 46 near Northome, Big Island Lake's structure provides excellent habitat for its high walleye population. 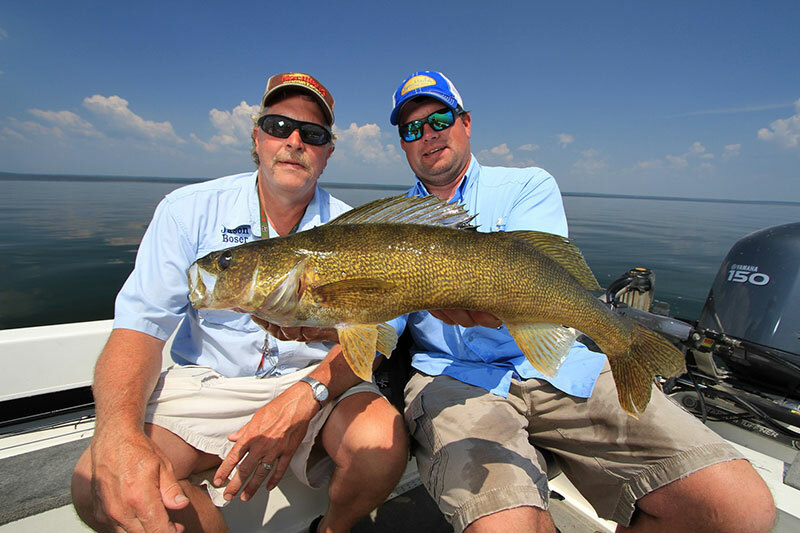 Known as a late starting lake, from Memorial weekend through the first three weeks in June it produces some nice size walleyes near the rocky points and other spawning areas. The underwater islands and deeper points produce better during the summer months - often walleye in the 5- to 8-pound class. Jumbo perch have also increased in numbers over the past few years and northern pike are also plentiful. Big Island Lake has a maximum depth of 35 feet with a median depth of 17 feet. The shorelength is 11.3 miles. 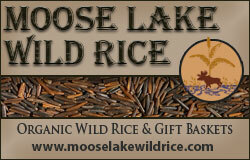 Moose Lake -- Moose Lake and Little Moose Lake are muskie waters that also produce some nice northern pike. Moose Lake's reputation for producing 30- to 40-pound muskies is well known by the locals. The lakes' forage bases and general ecological makeup seem to provide conditions for large fish sizes. Anglers can also find plenty of walleye on Moose by working the numerous underwater islands, bars and points. There are also fair numbers of largemouth bass, crappies and panfish. Moose Lake has a maximum depth of 61 feet with a median depth of 30 feet. It has a shorelength of 6.7 miles. Deer Lake -- Located just north of Grand Rapids, Deer Lake is known as a walleye lake, but also has an abundance of muskie. The DNR stocks this lake annually with walleye fingerlings. Deer Lake also has a terrific population of smallmouth bass and has seen an increase in bluegill population over the past few years. Muskies in this lake tend to average about 39 inches, but 40-pound-class fish are reported caught fairly often. Deer Lake has a maximum depth of 121 feet. There is plenty of structure on this lake with numerous points and sunken islands. The shorelength is 23 miles. Blackduck Lake -- Located two miles west of the town of Blackduck, this 2,600-acre lake has been a good walleye producer for many years. It also has a good northern pike population and a lot of yellow perch and other forage fish. One of the reasons for the big walleye numbers is the connection to Red Lake through the Blackduck River. Blackduck Lake has a maximum depth of 28 feet with a median depth of 15 feet. It has a shorelength of 8.5 miles. Big Splithand Lake -- Splithand Lake is located southeast of Grand Rapids and is known as an excellent crappie lake with many walleyes lurking in the relatively murky waters. The DNR stocks the lake with walleye fingerlings. The lake also has a strong bluegill population and a fair number of northern pike. Splithand is 1,420 acres in size with a maximum depth of 23 feet and a median depth of 13 feet. It has a shorelength of 2.5 miles. Leech Lake -- Located near the city of Walker, Leech Lake is 112,000 acres of some of the most outstanding multi-species fishing to be found anywhere. Besides excellent walleye fishing, two of the largest muskies caught in the past 10 years, have been caught on this lake - both over 50 pounds. Every year there are many fish taken in the 30- to 40-pound range. The largemouth bass fishing has drawn the attention of many of the premier bass fishermen in the midwest. Their numbers are abundant and their size is outstanding. Many bass in the 3 to 5 pound range are taken annually, with several over 6 pounds registered. 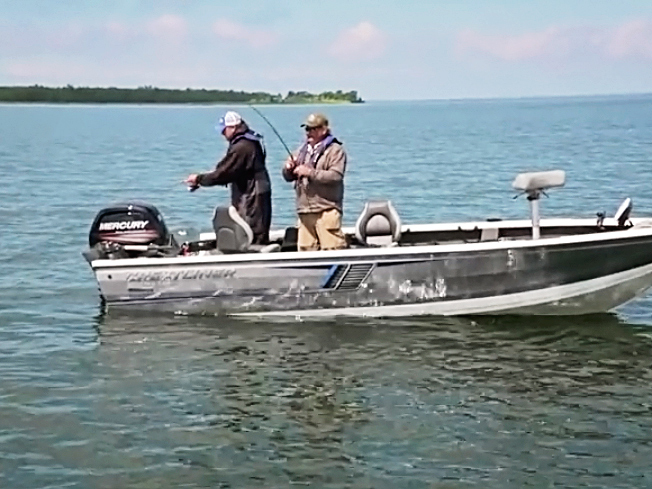 There are several different ways to take walleyes on this lake because of the diversification of depth. Walker Bay has depths of up to 120 feet and many of the walleyes there are taken on the deeper humps found there. The main lake basin which surrounds Pelican Island and includes Five Mile Point, Portage Bay, Two Points, Ottertail Point, Sugar Point, Bear Island, Snakepit Flats and Sucker Bay have shallow habitat indicative to walleyes. 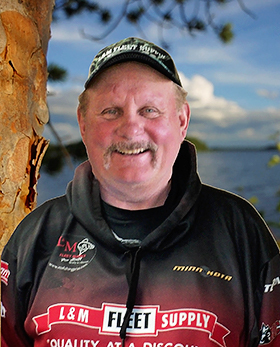 When the wind blows, the walleyes bite on Leech Lake, and can be taken with jig and minnows, leeches and rigs and trolling with shad raps. Other species present include slab crappies and jumbo perch. Cass Lake -- Huge Cass Lake is located in the southeast corner of Beltrami County, with a sizeable portion of it extending into Cass County. It's one of those Minnesota lakes that always end up on someone's list of great fishing places - and with good reason. Cass Lake offers tremendous populations of walleye, northern pike and perch. It's also a very popular Muskie lake. Cass Lake is full of structure, with good holes as deep as 50 feet, weedlines and rocky points. Look for walleyes along the dropoffs. There are few crappies in this lake, but those that are there are of the huge slab variety. Northern pike are abundant at the Mississippi River inlet on the west side, its outlet on the east side, and around both Star and Cedar Islands. Because this lake has plenty of deep spots up to 120 feet, walleye and northern fishing is better during the hot summer months that it is in most other regional lakes. Cass Lake is full of jumbo perch and its not unusual to pull many of them in the 8- to 12-inch range. Finally, there are huge muskie prowling the depths of Cass lake. Look to the south part of the lake near Cedar Island for them. Red Lake -- Fisheries managers from the Red Lake Band of Chippewa Indians and the Minnesota Department of Natural Resources recently concluded that the Red Lake walleye fishery is on track to be opened for harvest in 2006. Lake wide assessment data continues to indicate very promising progress towards walleye recovery. Dave Conner, Red Lake DNR Administrative Officer said, "Barring unforeseen changes in current population trends we fully expect that walleye harvest will resume in 2006". Walleye abundance has increased dramatically from the mid-1990's when the walleye population crashed. 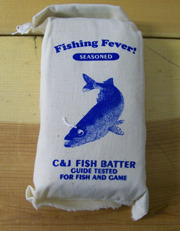 Walleye fry stocked in 1999, 2001 and 2003 as part of the recovery plan have established a large population of young fish. Over the next several years these fish are expected to mature and begin contributing to natural reproduction. Red Lake has also seen a dramatic increase in the abundance of crappies over the past several years. It is now considered one of the premier crappie fisheries in the state. The lake is also known for the common occurrence of catching northerns with lengths of more than 40 inches. Upper Red Lake consists of 107,800 acres and is one of the largest inland lakes in Minnesota. It has a maximum depth of 35 feet and a median depth of 18 feet. Big Turtle Lake -- This 2,066 acre glacial lake near Bigfork is recognized as one of Minnesota's top smallmouth bass fisheries. The smallmouth here are extremely aggressive feeders and equally aggressive fighters. There is nearly 22 miles of shoreline here with more than half of it undeveloped. The lake has a maximum depth of 130 feet and a median depth of 33.9 ft. There is tremendous structure on this lake including rock piles, sandy bays and areas of thick vegetation. There is also an abundance of walleye in Big Turtle Lake, and the DNR augments the natural reproduction of walleye by stocking it with walleye fingerling. In the early spring you'll find walleye in the shallower waters, but in mid-August try vertical jigging in 30-50 feet of water. North Star Lake -- North Star Lake is a 1,059-acre lake located near Marcell just off the Edge of the Wilderness National Scenic Byway. The lake has a maximum depth of 80 feet and a median depth of 26.7 feet. The water is fairly clear and has some steep dropoffs. Some huge northerns roam this lake. For 2005, the DNR has introduced special regulations regarding northern pike on this lake. All northern from 24” to 36” must be immediately returned to the water. Only 1 over 36” is allowed in possession. The DNR has designated North Star a muskie lake and stocks it with both muskies and walleyes. North Star also has plentiful large and smallmouth bass, crappie and panfish. There is more than 14.6 miles of shoreline on North Star, most of it is undeveloped. Pokegama Lake -- Pokegama Lake, in the heart of Grand Rapids, is a true multi-species lake with an abundant supply of walleye, northern pike, largemouth and smallmouth bass, panfish, jumbo perch and lake trout. At 6,600 acres and with more than 55 miles of shoreline, the lake has a maximum depth of 110 feet and is full of steep drops with more structure than any other lake in the area. Pokegama tends to be a better early morning and evening lake due to the recreational boat traffic during the day. Walleyes tend to be found just about anywhere along the entire shoreline. Look for the gradual breaklines and start out in the 18-foot depths moving toward the shallows. Big northern pike lurk in the weedlines throughout the lake, with some being found in the 30-foot depths. Lake Trout can also be found at these depths. Pokegama has a lot of nice slab crappies and an established smallmouth and largemouth bass population. Try working the cabbage beds at 17 feet with spinnerbaits in the evenings for the largemouths. Spider Lake -- A long history of being an all-around good fishing lake keeps Spider Lake a popular destination year after year. There are good numbers and sizes of walleye, largemouth and smallmouth bass, northern pike, muskie and panfish. Spider is a DNR-designated muskie lake and it holds some impressive sized ones in its depths. There are also numerous northerns in the 5- to 10-pound class and even some 20-pounders to keep the action steady. Spider Lake is located southeast of Marcell. It has a maximum depth of 35 feet and a median depth of 12.1 feet. The shorelength is 16 miles. Wabana Lake -- Wabana's deep clear waters make this lake a difficult one to fish, but the variety and size of the fish population is well worth the challenge. In thee 1970's and 1980's, the DNR managed the lake for northern pike. In the mid-80's, the DNR switched their management DNR walleye stocking has created strong fishery with good natural reproduction. Most of the time anglers can catch northern, bass and walleye in the same outing, using the same bait. Panfish are plentiful and there are numerous jumbo perch in the lake as well. Wabana Lake covers 2,215 acres and has a maximum depth of 115 feet with a median depth of 26 feet. The shorelength is 23.2 miles. Trout Lake -- Over the past years, Trout Lake has emerged as one of the areas finer walleye and northern lakes. With a maximum depth of 115 feet and covering 1,890 acres, Trout Lake has numerous northerns in the 10- to 20-pound range and an abundance of walleyes since the DNR stocks the lake regularly. Walleye can be found by trolling the weedlines and the mid-lake structure. Trout Lake has plentiful largemouth and smallmouth bass and yellow perch. Bass are often found near the rock structure in the middle of the lake and off the multiple points.